Oriental Trading is my go-to for holiday props and decor! 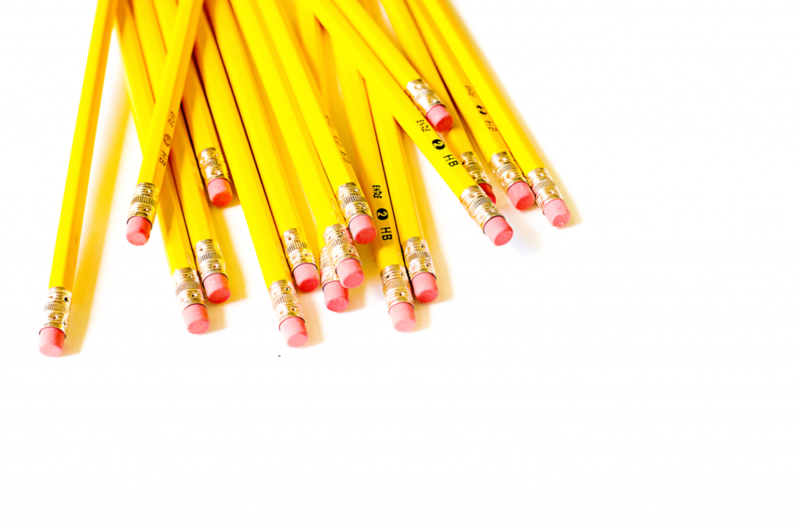 Plus they have affordable everyday classroom supplies my kids love using all year round! 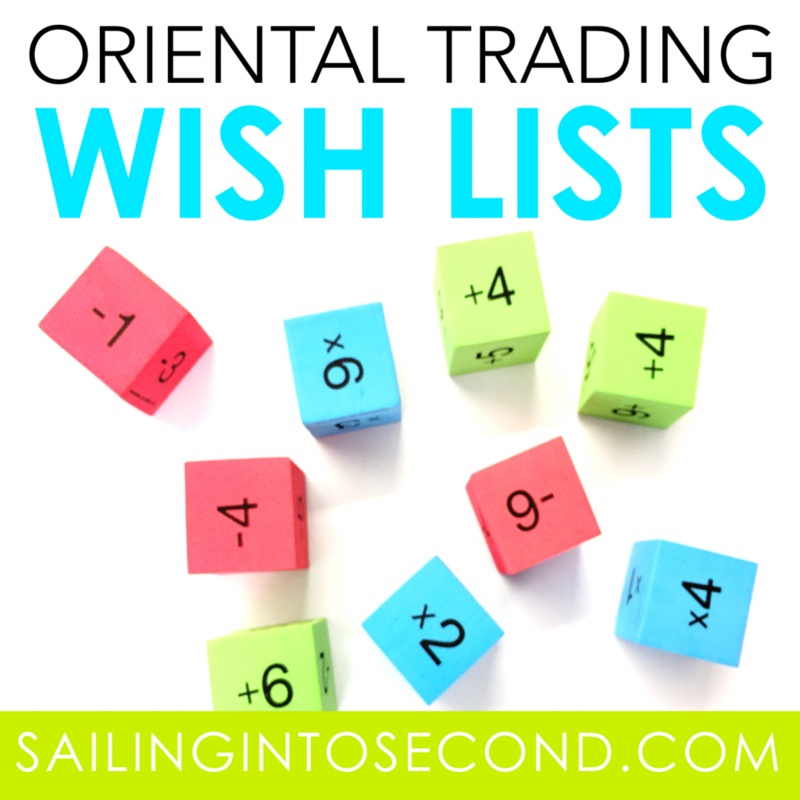 But did you know that Oriental Trading now has an awesome wish list feature?? Now you can add items you need and use in your classroom and share that wish list with your classroom families! They don’t always know what you need or want for your classroom, so this is the perfect way for them to donate items you need! My kids rolled each one to create an array and math expression! Much more engaging and hands on than simply picking a number! 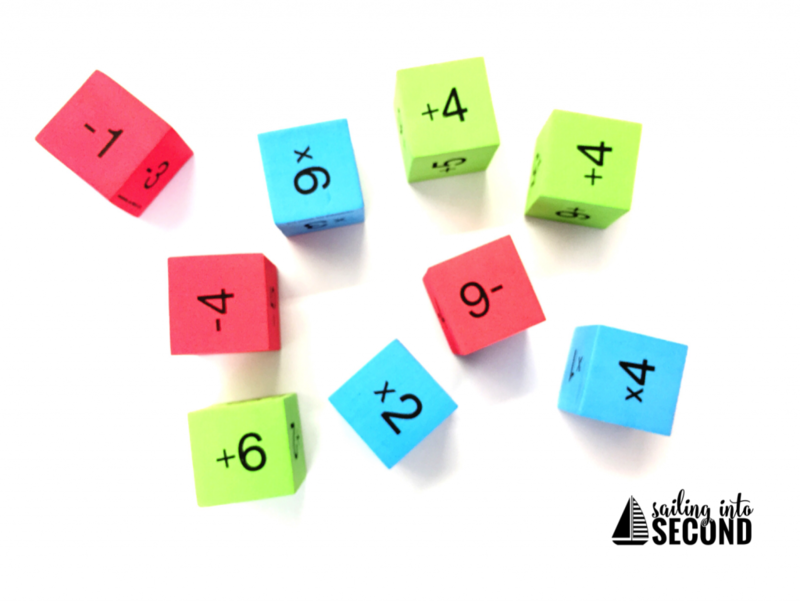 These were so much fun for my kids to use during our multiplication unit! They were perfect for my visual and kinesthetic learners to use during math centers and small groups. 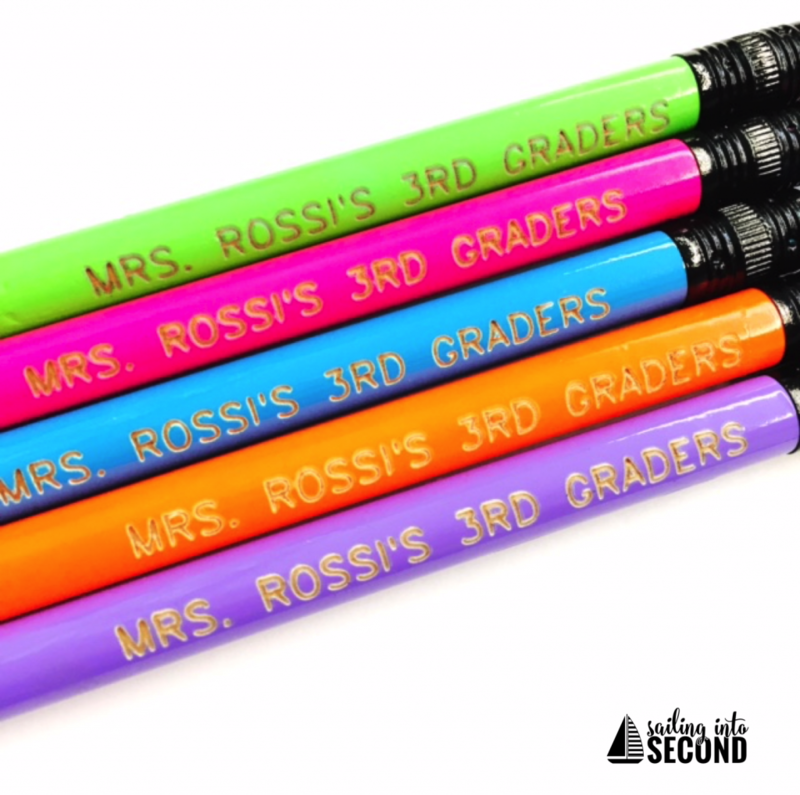 Copies and paper are limited and these dry erase sleeves are the perfect solution for that! 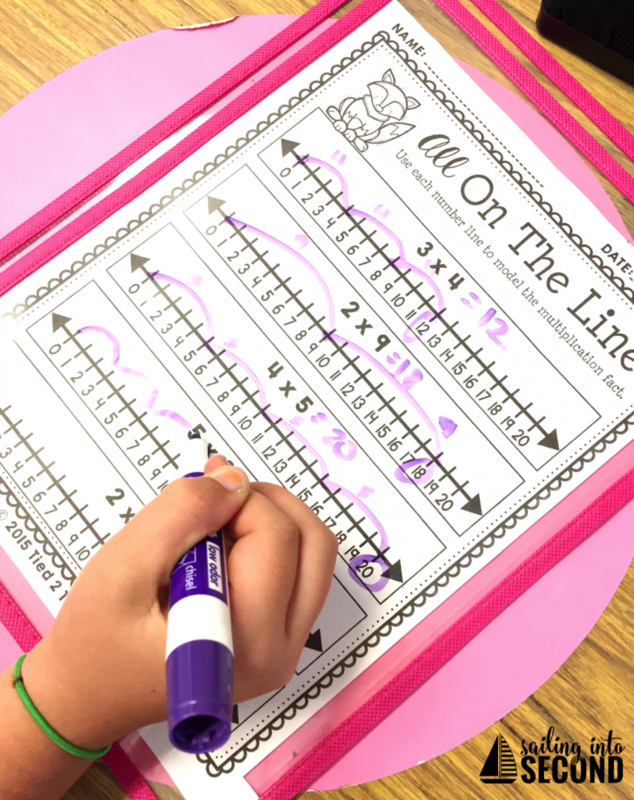 Simply slide a worksheet or master copy into the sleeve and ta-da! You’ve saved a class set of copies! I use mine during centers to save paper. 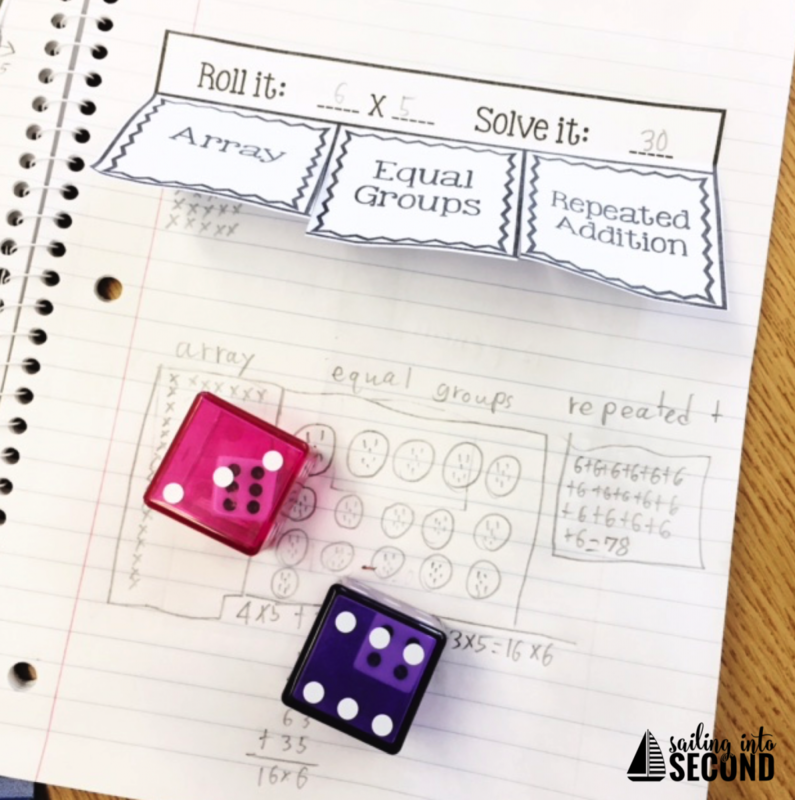 In addition to the foam dice we use in class, my kids LOVE the double dice! We used them for creating arrays, equal groups, and repeated addition facts. The best part is that they are plastic and durable, which means I can continue to use them year after year! My kids love anything hands-on! 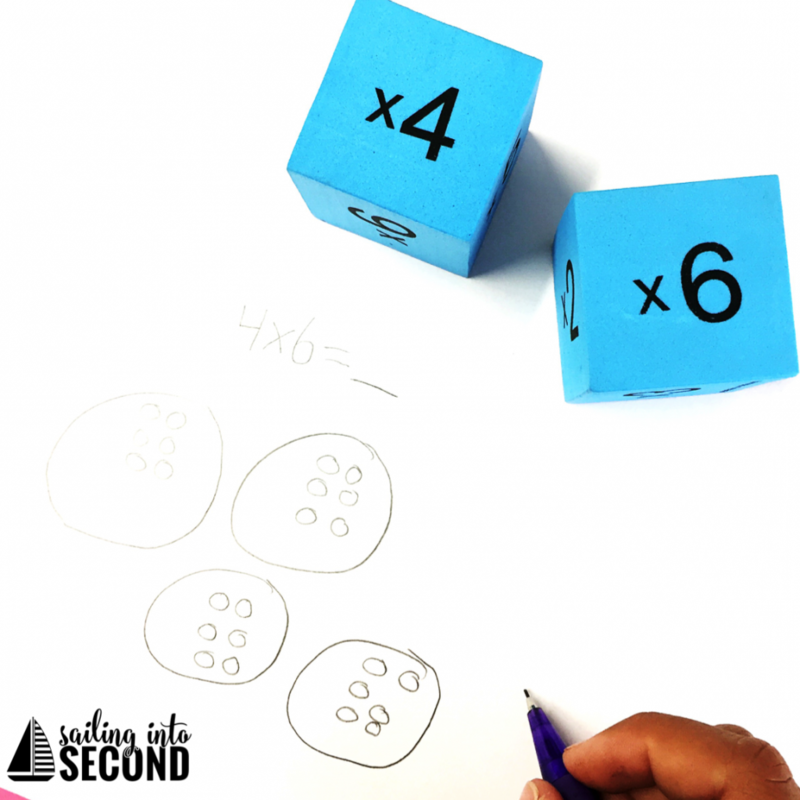 So I came up with this easy and fun way for them to practice their multiplication facts! Math fact fluency is super important in 3rd grade, so I like to mix things up and trick my kids into learning! 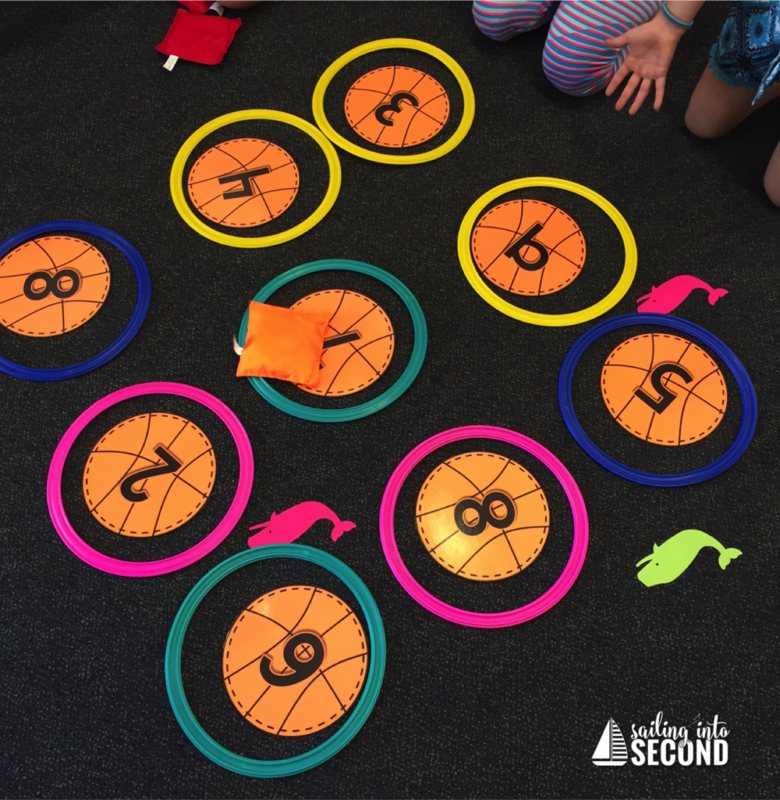 They threw a bean bag onto a number inside a hopscotch ring and created a math expression they needed to solve. They had a blast! Are you ready to start your own wish list?? What are you waiting for! Get that list going now! *Note: I was given these items from Oriental Trading Company in exchange for a review, but all opinions are my own.